appetizers Archives - Bring It! Score! A sackful of potatoes turns into road ready snacks. If all that sounds a little unhealthy, it’s because it usually is. But it is totally possible and appreciated to throw together healthy fare that is more creative than hummus and carrots. Case in point: The roasted Brussels sprouts (intended for dinner) I brought to a recent tailgate was happily gobbled up. So were these hastily conceived baked potato bites, born out of desperation and a glut of purple potatoes grown by my neighbor. They were inspired by the sweet potato recipe (below), and the basic concept of using potatoes—vs bread slices, chips or crackers—as the snack canvas. They can be doctored up with condiments and whatever fancy dips, sauces, garnishes or spreads are on hand. And of course bacon. Some of you will be open to the daring weirdness of sweet potatoes. You will have miso in your fridge and procure black sesame seeds (rather than burning white ones and calling it good). Others of you will look in your potato drawer, breathe a sigh of relief and proceed. You all know who you are. I love you on both sides of the divide. This first offering is more method than recipe, so we can work on relaxing our need for perfection and control WHILE making a crowd-pleasing appetizer. Win Win! The second recipe comes from the Kitch’n, so it is actually precise, though I suggest taking license with toppings. Just make sure you have some savory going on so you don’t double down on sweet. Bacon would be awesome here as well, or Hail Mary Coconut as a sassy Vegan stand-in. So here’s your two-fer, and here’s to happy tailgating. Toppings of choice… Corn salsa? 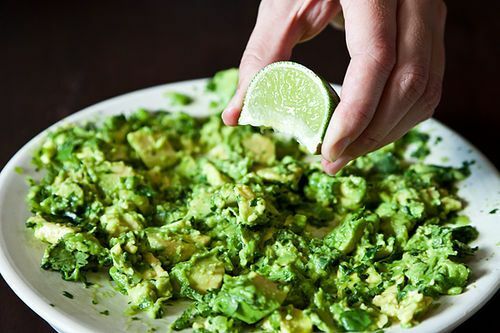 Guac? Have I mentioned bacon? Cut potatoes into ½” thick (or less) rounds. Toss them with oil and a generous sprinkle of kosher salt. (Rogues may prefer to do this straight on the baking sheet). 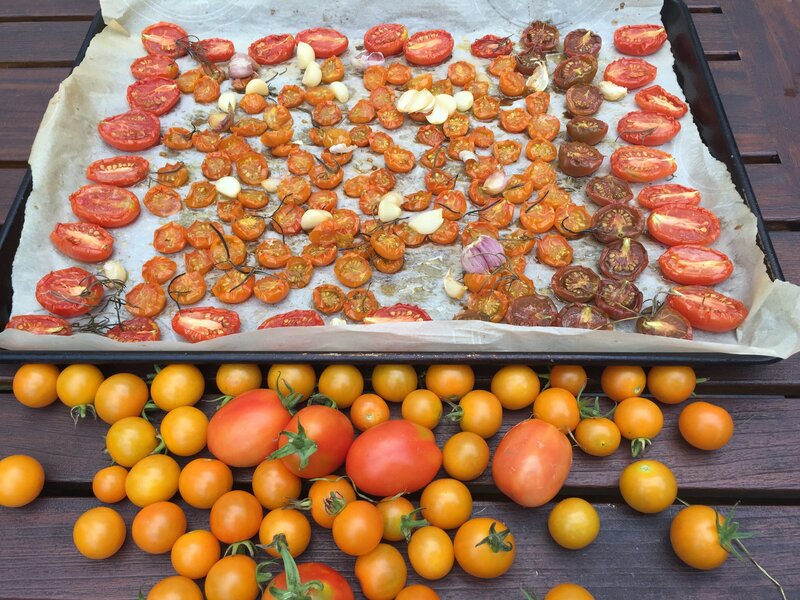 Arrange potato slices in one layer on a baking sheet. Bake potatoes for 25 minutes or so. Turn them over and bake another 10 minutes. Use your judgment here—you know how you like your taters. Remove potatoes to paper towel lined plate and let cool a bit. Arrange on serving dish and top with a small dollop of sour cream, and a sprinkle of green onions. Load them onto a covered travel platter (or foil pan) and position them next to fancy condiments and salsas so people can create their own potato masterpiece. Preheat oven to 400°F and lightly oil a baking sheet. Slice the sweet potatoes into 1/2-inch-thick rounds and place in a single layer on the baking sheet. Bake for about 30 minutes until the potatoes are brown on the bottom and tender but not mushy. To make the spread, whisk together the mayonnaise, miso, tahini, lemon juice, ginger, and cayenne. Taste and adjust any ingredients as desired. To serve, spread the miso mixture on top of warm (not hot) or room temperature sweet potato rounds. Garnish with scallions and sesame seeds. Same as above, but move them closer to the vegetarians. 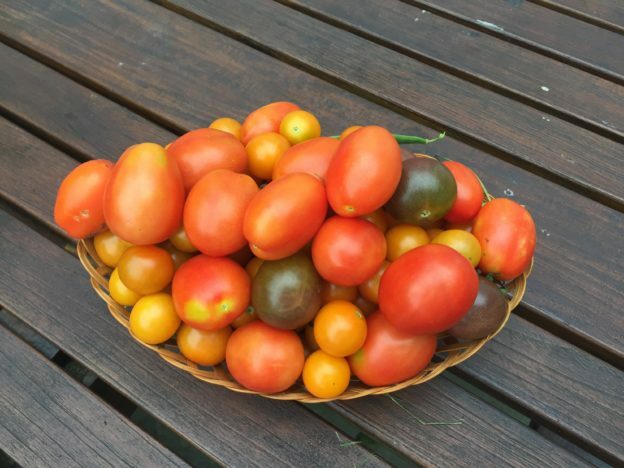 This entry was posted in Appetizers, Positive Snacks, Start it up and tagged appetizers, healthy snacks, potato bites, sweet potatoes on September 30, 2015 by Edie Morgan. A few of the best friends in the world. Way better looking than meatballs. This is about meatballs, but it’s not really about meatballs. It’s about friends and family and communities and about the times that remind you how much you love all of the above. Those times are called parties. 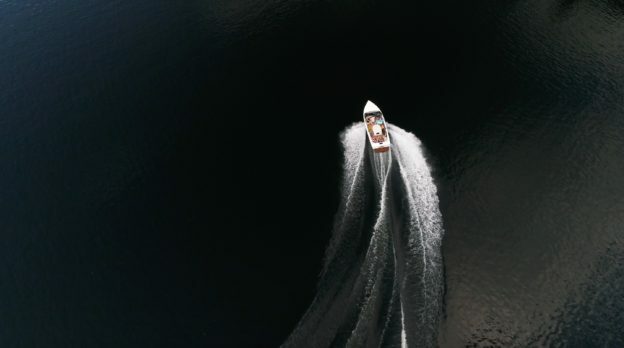 I’m on spring break, which is why we’ve sort of lost touch (It’s not you, it’s me.) The anchor of the trip was the party (see happy purple people above) to honor my awesome mama. The whole process of throwing a party in your hometown—especially when you have no definitive vision or time or really any business thinking you can pull it off—is confirmation that Dorothy and her sparkly red shoes really had it right. There’s no place like home. Friends appeared at just the right time to help me shop, delivered fondue pots, brought drinks and favorite dishes, ship-shaped the house, helped prep, cook, clean and tend each other throughout, took pictures and showed up with their rally caps on. They asked “how can I help?” and when I hesitated they just jumped in and did. 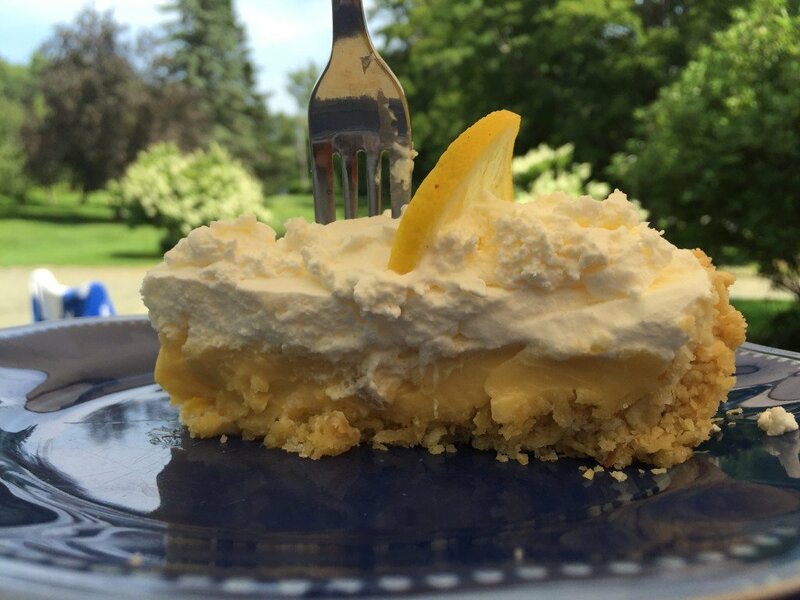 The timeliness of the help was downright freaky, as when I was lamenting that I’d failed to order a cake and the phone rang: “Could I prepare a signature dessert to honor your mom?” I’m talking crazy good. Like I said, this isn’t much about meatballs. BUT for this occasion I needed something easy I could make ahead and then pop in the oven, something that would not require any utensil beyond a toothpick, and something that was worthy of the best friends and family a girl could ever have. These mighty meatballs (poached from Epicurious) delivered in all areas. As a bonus, the leftovers were good the next day, cold and reheated. Make these and have a party to remind yourself of all the good stuff and good people in your life. Combine the hot sauce mixture, ground chicken, egg, celery, bread crumbs, and salt in a large mixing bowl and mix by hand until thoroughly incorporated. See? I told you meatballs aren’t as pretty as friends. But as with friends, don’t judge. Just make them, love them and be happy. This entry was posted in Appetizers, Main Dishes, Start it up and tagged appetizers, buffalo chicken meatballs, party food on April 13, 2015 by Edie Morgan. 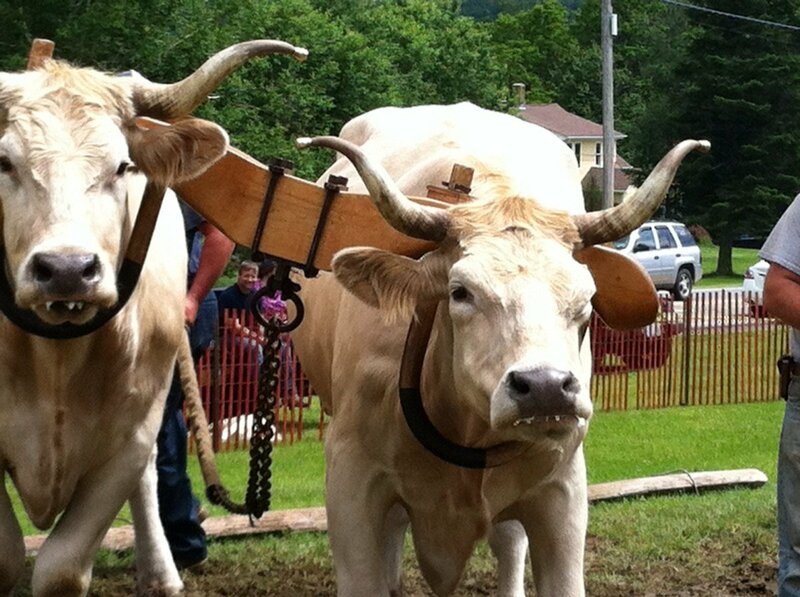 The Hanover Center Fair is the first stop on the ox pulling circuit and a slice of country life. Book sale, fair food, bouncy house, kids games, clowns, old cars, crafters, live music, cotton candy, parade, snowcones–it’s got it all. It also happens to be in our front yard, and so it’s a natural way to open patio season with a bang. This dip came from the first page of an appetizer book I bought one year at the fair in the church book sale. It’s so darned good I never bothered to get past page 1. It’s great as a dip with fresh or roasted veggies. And it’s E…Z! Leaving you more time to enjoy the fair and some frosty summer cheer! In a small bowl combine ingredients until well blended. If necessary thin with a few tsp cold water. Store in refrigerator. Will keep for up to one week in fridge. 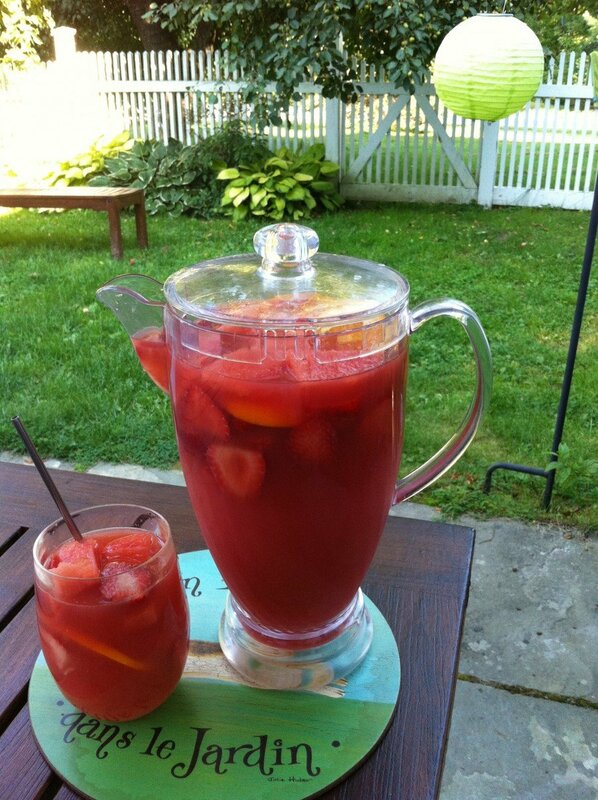 This entry was posted in Appetizers and tagged appetizers, dips, peanut butter on July 21, 2013 by Edie Morgan. This was my first course in neighborhood recipe dynamics. I got it from Pierces Inn, and they later scoffed at taking any credit since they got it from another neighbor in Etna. As I let myself become locally famous for my bruschetta another neighbor went to visit my parents in Squaw Valley where he rode the funky tram-like gondola called the Funitel. In a flash of inspiration the next time I saw him, on our patio enjoying said dish, he dubbed it “Funitella,” which sort of tied it to my Squaw Valley roots. It later became funitella bruschetta, which gave a better clue about the recipe type, while also sounding like a stripper or a hot Austin Powers agent. Mix all ingredients except feta. Let it sit awhile if you can to combine flavors. Crumble feta in the bottom of a shallow baking dish. Bake uncovered at 350 for 20 minutes. Top with shaved Parmesan if desired. Serve on top of bruschetta toasts (ideally made from easiest french bread ever). I always serve it in the Simon Pearce round white dish the fabulous Suzi gave me. It just seems better in a friend’s dish. You can also bring it deconstructed, in separate containers and quickly assemble it at your destination. Any leftover tomatoes are awesome in omelets, quesadillas, salads, etc. 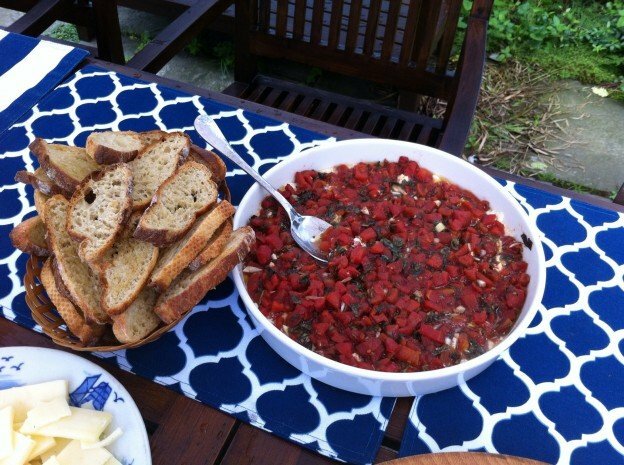 This entry was posted in Appetizers and tagged appetizers, easy, tomatoes on July 1, 2013 by Edie Morgan.